ALL Drain Cleaning Services in RIVERSIDE and its AREA! 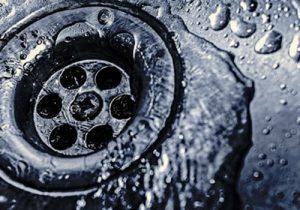 Professional Drain Cleaning RIVERSIDE – Need to Unclog Your Toilet, Shower, Sink or something else? For 25 years, our company has been THE expert in Riverside Drain Cleaning. No matter what time of day or night, weekends or holidays we are available to assist you 24/7, meeting and exceeding all your needs. 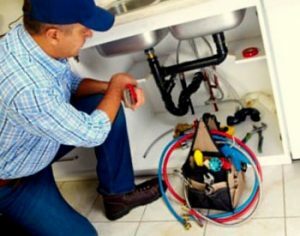 Our exceptionally trained staff of experienced and professional plumbers are the most knowledgable in the business in the Riverside area. We provide a variety of services to both residential and commercial customers because we understand that your home or business is an investment and we are committed to helping you protect and maintain that investment. Whether it is an emergency involving a clogged drain, a one-time service to clean pipes or a routine scheduled maintenance appointment to protect against future backed-up drains we are the company to provide solutions to all your plumbing problems in the Riverside area. Call us! Available 24/7! Do you have a … ? We are a local company that is dedicated to providing the highest quality service to the people of Riverside because we are also part of this great area and are devoted to the community. So, next time you have a clogged or backed-up drain that needs to be cleaned don’t call a large, impersonal company that is dedicated to volume and quantity of service. Call us, a local business with the experience you need. We are a company dedicated to quality not only in the services we provide but also in the relationships we build within our community. We understand that your home is a major investment and we want to be a part of helping you take care of that investment. Whether you live in an apartment, a town home, a condominium or house our experienced professionals can provide you with quality support. Our team will supply you with a drain, sink or pipe cleaning service that is done right the first time and is assured to last. The Riverside Plumbing policy means you do not pay a call-out fee, you only pay for the expert unclogging and unblocking services we provide. In most cases, we also provide FREE in-home estimates. So, give us a call today and we will show you why we are the leaders in Riverside Drain Cleaning services. Riverside Plumbing 24×7 is a locally owned and operated business so we understand how important YOUR business is to you. We are totally committed to providing your company with quality services to help save you money and prevent any damage to your business. In addition to our 24/7 emergency services and one time assistance we also provide the opportunity to schedule regular checkups for all your needs. This not only addresses any obvious problems such as clogs, blockages and backed-up drains but also provides opportunities to maintain the healthy functioning of all your plumbing systems. The regular scheduled maintenance program PREVENTS emergency problems, saves your business money and provides peace of mind by stopping problems BEFORE they start. So, remember, next time your Riverside business has any needs call a local business that understands the importance of quality affordable service! Clogged drain, pipes, sink or shower? With so many pipes and plumbing systems bathrooms are the primary area in your home where a drain issue might occur. No matter what the problem – a clogged bathroom sink, a backed-up toilet or a blocked shower drain – we are here to help. Often the best course of action is to try to prevent these problems from occurring in the first place. Things like hair, lint, mildew, soap scum and even products such as toothpaste and cosmetics will build up on your bathroom sinks and showers causing problems like backed up sinks, clogged shower or pipe blockage. So be sure to clean these areas regularly to prevent particles from escaping down your drains. Another good preventative measure is to have a drain stopper for your sink and a stopper or strainer in the shower. This will allow the larger particles that cause build-up to be stopped and cleaned out before they cause a more serious problem. So, remember, prevention is the best course of action. Read some of these genius tips here. Often, however, it is difficult to prevent many of these issues from occurring. We can easily take care of pipe clogs, blockages and back-ups from hair, lint, soap scum, hygiene/beauty products (even children’s toys) in your bathroom sinks, showers and toilets with the ease and efficiency that comes with 25 years of experience. If your drain does become backed-up or clogged give us a call and we will be more than happy to talk you through the issue step-by-step to see if the blockage problem can be resolved easily. If the issue seems more complicated than you anticipated one of our Riverside Drain Cleaning and Plumbing professionals will come out to you any time – 24/7 – and fix the pipe blockage quickly and properly the first time. We will provide you with quality service with no call-out fee and the consultation is usually FREE! Kitchens also have the potential to pose many system and plumbing issues. We train and prepare our specialists to solve these issues for our customers quickly and properly the first time. We provide the friendly service and care that only a locally owned and operated business can offer. Whether your kitchen sink is backed-up, your dishwasher drain is clogged or there is blockage in your garbage disposal our team have the tools and the knowledge necessary to solve any problem. No matter the time – day or night, weekends and holidays – Riverside Plumbing is happy to respond rapidly and professionally 24/7. Your kitchen is one of the most highly used and central parts of your home and we understand this. Our rapid response times and 24/7 service will insure that your kitchen is properly up and running again in no time! 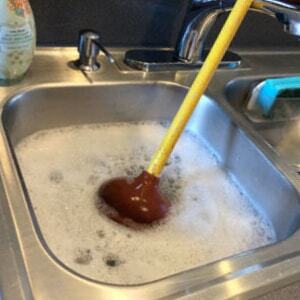 Avoid rinsing large food particles and large volumes of grease down your garbage disposal drain, instead put these items in your kitchen trash can. This will prevent clogged pipes. Utility Rooms and ‘Mud Rooms’ may not be the most highly trafficked areas of your home but they are often the most highly abused and frequently require drain clearing and pipe cleaning. Everything from outdoor dirt and grime, to paint and caulk from your DIY projects, to grease and oils from mechanical jobs can all cause major drain system back-ups and clogs. Fortunately, at Riverside Plumbing our Licensed and Insured team of professionals can unclog your drains quickly and safely. We can also help you prevent further pipe clogs from happening with the experience and knowledge that only comes with 25 years of experience. So, give our Riverside Drain Cleaning and Plumbing team a call 24/7 today! Rinse of work clothes and other items outside before bringing them indoors; also, avoid pouring paint and other construction related materials down your drains. Basement and floor drains may be out of sight and out of mind but when they do get backed up the damage can be tremendous. Our company understands that your home is a significant investment and we want to help you protect your investment. Our pipe cleaning team is on stand-by 24/7 ready to provide you with the swift action and knowledge necessary to ensure that your home and property is not further compromised due to any measure of damage that can be prevented. Clogged pipes are a serious problem and we provide serious and permanent solutions. Remember, we are a local company that understands the importance of your property ownership or rental and would feel privileged to help you protect your assets. Tip: Because your floor and basement drains usually do not get much use, regularly pour a gallon of room temperature water slowly down the drain to prevent sewage gasses and odors from escaping into your home. Outdoor drains around your patio or porch area as well as downspouts can also become clogged with debris such as grass, leaves, twigs and even critters! It is extremely important to have these drainage systems functioning properly to ensure that water does not seep into your home or cause damage to your foundation. Don’t let blocked pipes cause permanent damage to your home. Our specialists are specifically trained to solve the unique problems an outdoor blockage may cause. We are prepared to take care of clogs caused by debris, blockage caused by a curious critter, back-ups from high volume or anything in between. Protect your home and call Riverside Plumbing today! Tip: After severe weather such as a thunderstorm or serious rain take a walk around your property and check all your outdoor drains to make sure they are functioning properly. Call our drain cleaning Riverside team for a free estimate today!